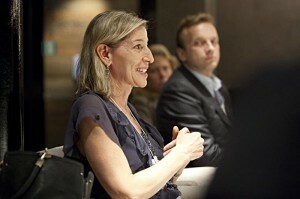 This blog is one of several published in real time during the live event “nutrition for growth; beating hunger through business and science”. The rest of the blogs can be found by clicking the links at the bottom of the page. Some of those organisations supporting this movement are include The IF campaign, The ONE campaign DFID. The Lancet has just published a vital series of papers bringing clarity, new data and fresh evidence about the vital role of good nutrition in infant and maternal health. 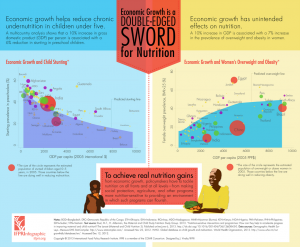 Citing this paper the Executive Summary of the Lancet’s Maternal and Child Nutrition series says that now is a critical time for convergence of international policies and aid to create a roadmap for the future to eradicate poverty, and improve health. With many many countries all over the globe signing up to pledge support, aid and assistance to eradicate undernutrition, NOW is the time for you (yes YOU!) to get involved and make this movement unstoppable. For the scientists and those in business, its a call to arms. For everyone else, support, encouragement and raising awareness (for example by attending the IF campaign rally in Hyde Park this afternoon, 8th June 2013) is every bit as important if we want this movement to be truly global and to succeed. The Nutrition For Growth event today, and rally this afternoon are just two in a global series of events to publicise this new commitment to the world. One such event, scheduled to launch the publication last Thursday of five papers feautring new data and policy recommendations on global nutrition. The papers are a follow-up to the Lancet’s landmark 2008 Series, which helped put nutrition on the global health and development agenda and identified the 1,000 days of a mother’s pregnancy until her child’s second birthday as the priority window for impact. The new Lancet series examines the current and expected extent of maternal and child undernutrition and obesity, and the interventions that are appropriate for low- and middle-income countries. 1. 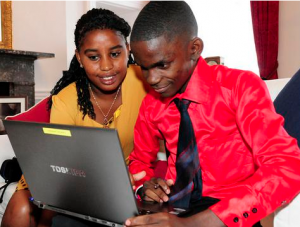 Adolescents are one the greatest opportunities for defeating the effects of undernutrition. 2. Our focus should not be on the treatment of severe acute malnutrition, but its prevention. 3. We need to move from death to development (that was David Nabarro). 4. Focusing on evidence is good. But we also need to look at what is plausible. Or else we will miss opportunities. 5. 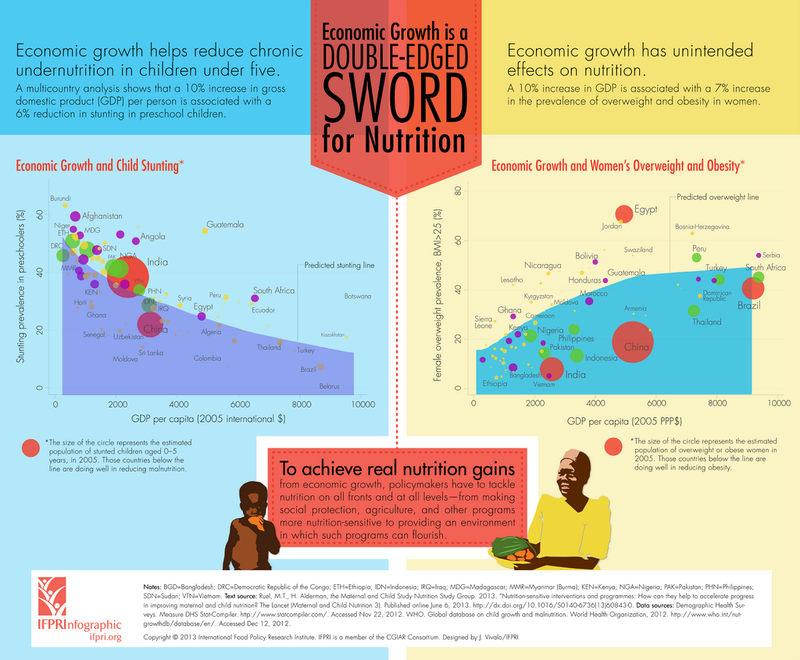 We don’t do enough to study success stories, countries that have succeeded with nutrition programmes. Broaden what we mean by evidence. 7. We have a window of opportunity for nutrition today. But who is “we”? 8. We are just too polite in our debates about technical solutions to undernutrition. We need to change the moral levers in our society. 9. There is only $220 million spent on nutrition from overseas development aid. This is truly pathetic. We need $9.6 billion/year. 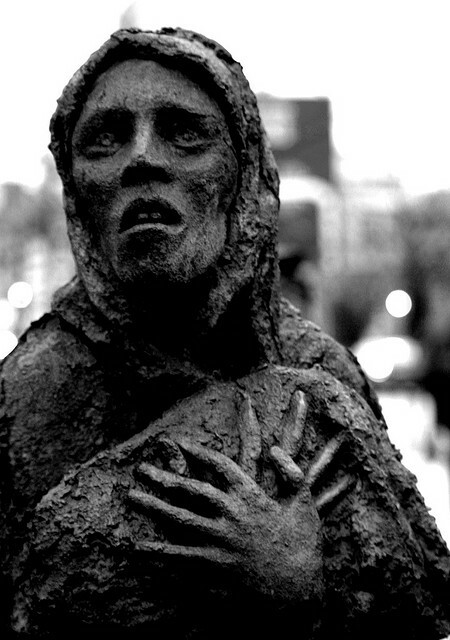 The Taoiseach, Enda Kenny, spoke movingly of a time when hunger was close to these shores. The Irish potato famine killed a million people and a further million were displaced from their homes as they tried to avoid the Great Hunger. Kenny talked of women taking their children and struggling one final journey to lie down in church graveyards to ensure they would all receive a christian burial. Just last week, it was announced that the pathogen responsible for this horror had been identified. A single strain of a fungus known as Phytophthora infestans it is distinct from modern strains. The landscape for hunger may be different in 2013, but this kind of despair still happens. Its may not always be death by starvation that is happening in Malawi, Tanzania, Rwanda and Kenya, but it will be death from other common childhood illnesses that the immune system of a well-nourished child ought to be able to fight off. All of our interventions, the vaccines, the antibiotics, the rehydration therapy, all work better when the patient is not lacking vital nutrients, so addressing the issue of feeding the close to a billion people worldwide who are undernourished will have a massive k knock-on effect on ending poverty. Undernutrition is an underlying cause in 45% of deaths amongst children under five, while globally, nearly one in four children under age 5 (some 165 million) are stunted. Undernutrition costs 11% of the GDP in Africa and Asia.Poverty and undernutrition go hand in hand. Undernutrition causes STUNTING and WASTING. More on this in the next blog. She is the 4th president of Malawi, and the first female president, but presides over a country with terrible problems of poverty and hunger. Malawi has one of the highest infant mortality rates in the world. 1 in 5 children in Malawi is malnourished. An under-five mortality rate of 110 per 1,000 is still far too high, despite improvements in recent years*. Up to a million children in Malawi are growing up without one or both parents, 650,000 of the total due to HIV/AIDS. *by contrast, in England and Wales that figure is just 4 out of 1000, compared to almost 1 in ten babies dying in Malawi. 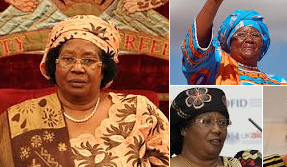 Joyce Banda wants to “skill up” the nation and improve their ability (especially in rural areas) to make both their ability to grow food and their ability to profit from it, and therefore grow it sustainably in a way that will keep people, fed, in work and healthy. They have already set to work in bringing the infant mortality rate down from the figures quoted above (2006), it is now closer to 80 – 1000. Under nutrition is responsible for HALF of all child deaths and a THIRD of maternal deaths, says Jamie Cooper Hohn of CIF, the Children’s Investment Fund. She says sometimes when we try to help, we try to make an immediate difference, and don’t stop to ask what the real questions are of how best to help. A well nourished child is 30% more likely to be in the correct grade in school. Stunting does not just affect the physical growth, but also neurological development. This is not just a humanitarian, but an economic reality: A 20-45% increase in wages with a 5-10% increase in physical growth. Whatsmore, stopping hunger isn’t enough. A child can have as much rice or maize as it needs to feel satisfied, but if that child does not have the correct vitamins and minerals then it will still not develop as it should, physically, or neurologically. We see ample evidence that simple interventions work – BREASTFEEDIN, VIT A, CALCIUM, IRON, PROMOTING HAND-WASHING AND PREVENTING DIAHORRHEA. A heartfelt personal account of what if feels like to be hungry by young Tanzanian’s Frank and Mwajuma. You can see from the picture that Frank is of slight build. He is small for his age (16) and slenderly built. You don’t get big and strong he says, without good food. Stunted growth is a real thing. It affects many many people the world over. The “senior cabinet minister” called to the podium is DAVE! 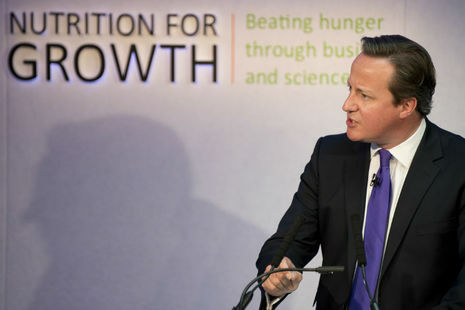 Mr Cameron is talking about a 165 MILLION children who by the age of 2 have already been so badly malnourished, that they will never achieve their full expected height or weight. DC says there are 3 questions? 1. Does aid really work? Yes it does – we are seeing the fastest redcution in poverty in history. Child deaths are down by half and 4 million lives saved by vaccination. That’s a resounding YES, but there are still too many dying. We cannot stop here. 2. Why does the UK always have to be out in front when it comes to aid? Dave says its because of the way the British people are, and how we respond when we hear of disaster and poverty. It says something about our standing in the world. But its not just about our hearts, its our heads too. If we invest in countries before they get broken, we might not end of dealing with the problems afterwards. We are one of few countries who agree to spend 0.7% on development. If we keep doing this we can help 37 MILLION children. Its less than 1 pence a day for us. Its a good investment. 3. The problems are never solved, why does it just go on and on? We have earned the right to say we should do things differently. Different in business, different in science. Harvesting power of enterprise and for science, harnessing the power of innovation – see the sweet potato* that has been engineered to provide Vitamin A. *more on the sweet potato coming soon!